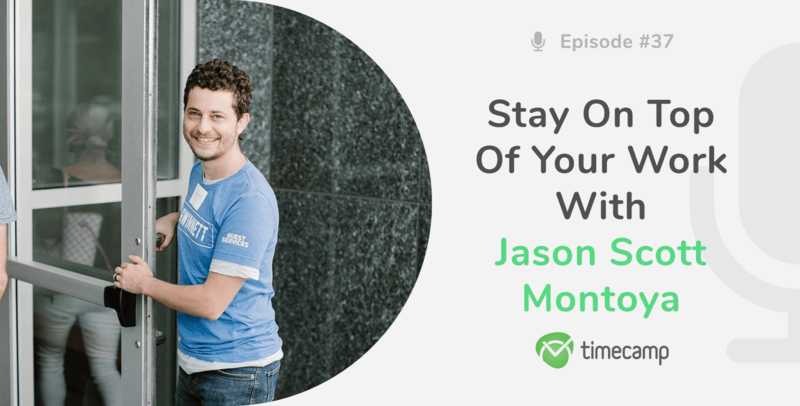 Learn The Secrets of Freelancing With Jason! Listen to #37 episode to learn all the secrets behind freelancing and find out how Jason, professional freelancer, organizes his work and what does it mean to be a freelancer! 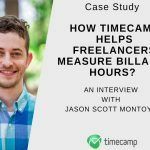 Jason Scott Montoya is TimeCamp’s user and the proof that freelancers also need a good time tracking software. He is a full-time freelancer, author of Path Of The Freelancer, husband, and father of 5, located in Atlanta, Georgia. 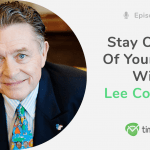 He helps grow small business income, teams, and owners. On his blog, he shares stories & systems to live better & work smarter. Hi, guys, this is Kate, I’m your host and this is 37th episode of Stay on Top of Your Work podcast. Today I have a really cool guest. It’s Jason Scott Montoya is a full-time freelancer, author of Path Of The Freelancer, husband, and father of 5, located in Atlanta Georgia. He helps grow small business income, teams, and owners. On his blog, he shares stories & systems to live better & work smarter. Kate: Jason, thank you so much for joining me here. I’m so happy to have you here today with me! Jason: Thank you for having me. Kate: It’s a pleasure and an honor. I’d like to begin with a question what’s your story and who are you? Would you like to say a few words about yourself? Jason: Sure. I’m Jason Scott Montoya. The meaning behind that, between the words, is “I’m a wandering healer in the hills and valleys.” That’s a little bit of a sequel to my story. I’m originally from Arizona. I currently live in Atlanta, Georgia. Me and my wife… we met in high school, we started dating after high school. We ended up getting engaged and married and the day we got back from our honeymoon we packed up everything and left everything we knew from the little city of Flagstaff, Arizona and moved to Atlanta, Georgia. We landed here, finished my degree… I actually got a degree in animation, 3D animation. While I was in high school, my uncle owned a little animation studio and I got the opportunity to intern and work with him on projects for Discovery Channel, PBS, and museums around the world. I was really interested in the entertainment industry and filmmaking. Animation was sort of a medium of choice. I couldn’t answer that with a “yes,” so ended up shutting it down. I wasn’t sure what I was going to do next but I had built a really solid network and a lot of relationships. People started reaching out to me when I shut down the company and asked, “Hey! Before you figure out what you’re going to do next, whether it’s gonna be start another company, freelance, or go work for someone, you know, could you help me with my business problem?” So within a month of shutting down the company, I had like eight or nine projects on my plate. And I was a freelancer. As that played out for about eight months, freelancing… I kept having people come to me and a lot of it… I would say ninety percent of it was people I knew. So eight months later it kept coming, I was making money, it was working, and so I decided to embrace freelancing as my vocation. I decided I was going to master this, that I would apply the lessons I learned in business to my freelancing work. Over the next year, I really did that, I mastered it, I created financial stability, I got all the systems in place, and I had other freelancers asking me advice on how I was doing it, which ended up leading to me writing a book called Path Of The Freelancer, where I shared the systems that help me succeed as a freelancer. I published that in 2017, so little about a year and a half ago. And I continue to do freelancing. Really what I focus on is digital small businesses, so I have some kind of an online transaction component, e-commerce, and membership, something that… more transaction happens online. I help them grow their business, so their income, their team, if they’re working with the team, either helping them develop its leaders or help them grow a team by leveraging employees, or other ffreelancers, and then I help them as a leader grow, and continue to do that… It’s going well. Kate: That’s a nice story! Jason: So that’s my story in a nutshell. Jason: Lot and a lot of struggles along the way, lot of failures, but it’s all help me become a stronger person. Kate: Right! I’d like to ask you what does it mean for you to be a freelancer? Because I am freelancer myself and there are a lot of people who do that, but for you, what does it mean? How do you feel about it? Jason: Going back to just the root of it, really it’s a mercenary. It was in the age of nights and Jane Austin… someone with a freelance. They could be hired by whoever was willing to pay them. I think of a broad level… I think of a freelancer as someone that’s not an employee. It’s someone who works with multiple companies at the basic level. More specifically, there’s freelancing as… sometimes can be thought of as, like a design or creative, but there are other types of freelancers, for example. Some of what I do would probably actually be put under the umbrella of consulting. So consultant would be a form of freelancing, although a lot of consultants don’t like to necessarily use that phrase. But it’s a fractional. Someone who’s fractionally splitting their time up to different customers. Kate: Okay. That’s nice. Being a freelancer is very challenging. What is the most challenging part of your work for you? Jason: It’s changed over the seasons. When I first started freelancing, I had actually a decent amount of success right away, which was unexpected and isn’t normal, but part of that was because I had a company before I had a network. But one of the challenges I faced was, while I was making money, it was very volatile. One month it was a lot and another it wasn’t and our budget hadn’t adjusted to that up and down. So we were spending as if we had a consistent income, just personally speaking, but we weren’t adjusting as up. So I ended up creating what I call response of budget. So when I made money, I spent more personally, when I made less I spent less personally. I had to create that system to work through that. So, the challenges have changed. It was an earlier one. Another one that I’m currently kind of working through is… I’ve got a lot of stability now. I’m working with a lot of clients, so how do I juggle all of them and make sure I’m getting them, taking care of and making sure things are moving forward when there’s just a lot on my plate. It’s kind of a different type of problem. A good one to have, but staying focused, staying disciplined and, for example… you know… just even… what… something that’s helped me recently, as we… my wife would get up with the kids, two older kids, nine and seven, go to school, and so they get up and get on the bus, and she was waking up with them… So we switched. I was waking up with them and by getting up at 06:30, helping them launch, it helps me start my day stronger, get things moving. So, I just have to make little adjustments in my schedule to get more focused, to be able to handle that capacity. Kate: Okay. Jason, I know you’re using TimeCamp, so I have to ask you all these questions. First of all, how do you use it? How do you make use of it? Because I know many freelancers feel like time tracking software is not good for them. So, how do you use it? Jason: I do, I will say I do bill my clients on an hourly, basis. I use a system called the BAM system. It’s batch-action-management. I batch my hours and hours, and blocks of ten hours. Spreads is another phrase thtat’s used. I need to log my time in order to bill. So I’ll bill the client for ten hours and I’ve got a log of those ten hours, and then I bill them for the next ten hours. And so on, and so forth. Fundamentally, I use TimeCamp for that way. What I actually do is I create project for each client in TimeCamp and, in the name of the project, I actually put the number of hours I’ve invoiced them, so I can keep myself on track if I’m close to the finishing up their hours, or if I’ve gone over, or what not. So I do that and then, outside of just the logging of my time, I do log time that isn’t billable. So, stuff I’m doing for myself, or maybe it’s sales and marketing, blogging. That helps me so f or those that maybe don’t bill hourly, that’s a way for me to check, actually understand, where my time is going and how much time I’m spending on things. For example, I’m blogging regularly and as part of that, I did a week day blogging challenge about a little over a year ago. So I was blogging very regularly. But I spent a lot of time doing it, so by logging how much time, I was actually able to realize that I was spending about an hour and a half per blog post and I was doing five, so that was seven and a half hours per week. So when January came, I had to re-adjust my schedule, because it was too much time. But since I knew how much time I was spending, I was actually able to go, “Okay. Here’s how much time I have, so I can shift back down.” I ended up doing three times per week instead, starting January and I’ve done that for most of this year. So tracking allows me to, again, know what I’m doing, how much time I block for my clients so I can bill them, and it helps me understand what I’ve done. Then, the second or the other piece of it… so logging… the second is the reporting. So what I like about TimeCamp is it has the ability for me to do reporting. A couple things that actually I’m in TimeCamp every single day. I have what I call a “focus metric.” For me, it’s the most important thing, important number I can keep in front of me as a freelancer, and it’s the number of hours I’ve logged, billable hours I’ve logged per day, per week, per month. Every day, it’s a 5.7 and, then, the week it’s 28 and, then, the month is 122. So, I’m checking in all as my day’s going through, I can halfway through there I can see how my hours I’ve logged, tracked, I am getting, so I can redirect myself. And, then, I check at the middle of the week in my contract to hit my goal for the week. If I do that on a daily, weekly, and monthly basis, I will hit my annual goals. So, I do look at it annually, but those real numbers really don’t matter other than to confirm that I’ve moved forward, but those daily, weekly and monthly reports in TimeCamp help me stay focused and on track. Kate: Amazing! What about your productivity? Has it increased, or you didn’t see any change when you use TimeCamp? 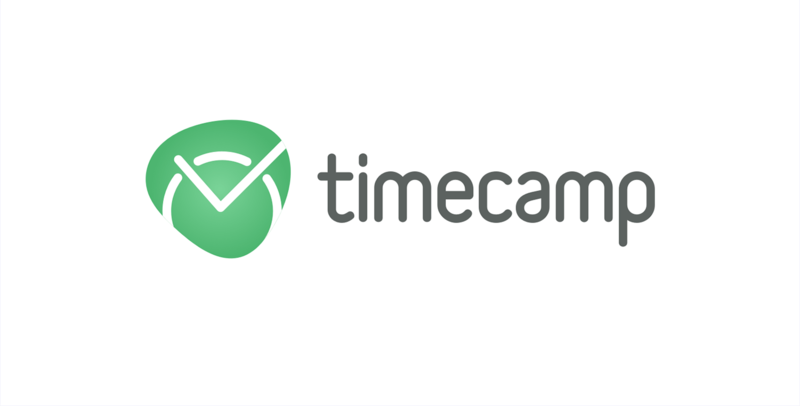 Jason: Before I started using TimeCamp, I was actually doing it all in spreadsheet. I would put all items there. The thing I like about… a lot of times… do it in a spreadsheet first, or Airtable, which is another cool tool. It allows me to kind of figure out how do I want to organize this, how do I want to see it, how do I want to report on it. But with a spreadsheet, I had to manually do that. And I had a log when I started in and when it ended, and how much time I was doing. It was a lot harder. Sometimes, I might forget, or I wouldn’t switch. There’s no way to, really, figure it out other than guessing if I’d made a mistake. So I kind of figured out the system or the mechanism and, then, I went out and looked at the options. Out of the options, I looked TimeCamp was that was most aligned with how I wanted to do things. So I signed up and ended up being a perfect fit. What was great is that I have the Windows app where I can actually switch between projects. And I’ll use that primarily. Sometimes, I’ll use the web based logging or a manually add things I need to, but I mostly using that widget that’s on the computer. And just as I’m searching through projects site, I can switch there. The cool thing about the widget is… it’s easy to use and it allows me track my time, but also tracks my activities. So if I make a mistake or missed log something or don’t log it, it still tracks it and, then, I can re-assigned that time and re-allocated if I’ve missed it. That works out really well for me. Kate: Would you recommend time tracking software to other people? Jason: Yeah, I would. I think if your billing hourly, obviously, you know what you’ll want to use it. If you’re not, I think it’s still worth it, just to know how we’re spending our time. I think… this would include me in the past. I think a lot of times people and passed to me what sort of bulk at the idea track of my time, but I think it’s a lot of it is more… I think we come up with a lot of excuses, but I think a lot of it’s just we don’t want to do that, we don’t have the discipline to do it because it is kind of a little bit of a nuisance. But once I’ve done it for a while, it’s just made it sort of habits, it doesn’t even matter. I think we as freelancers were so independent, we don’t want that constraint. I think tracking our time can feel that way. Kate: I, personally, love it as a freelancer. I do recommend it to everybody. I hope you love it that way, too. Jason: Yeah. I think it’s a good thing. I would recommend it. It may take some time for people ease and do it. Kate: That’s true. Let’s go back to freelancing. I’d like to ask do you have, maybe, tips or some hacks how to create a stable business as a freelancer, because it’s difficult sometimes? How do you do that? Jason: Yes. I’ll give three pieces of the puzzle that are in the book Path of The Freelancer. The first is being fully committed to freelancing. I think that, foundationally, if we’re not committed to it, we’re gonna waiver and if it get’s hard we’re gonna… we’re going to give up. And I think it’s just a really easy way to figure out how committed is we are when our bank account is empty and when we have no current work, is our inclination to look for the next project or is it to look for a job? That will tell you how committed you are to freelance. For me, it’s… I’m not looking for a job. I got to find the next project. So if you can answer that way… If you can’t answer it that way, then I think it’s important to explore your level of commitment and figure out how can you take that further and how can you really explore your intentions, your purpose, your vision of what freelancing is and how it’s going to help you accomplish your goals. So that’s the first thing. The second is getting clear on offerings, so what is it that you do as a freelancer? You don’t have to be perfect in this all over the time as it has been for me, but just put something down and have that be your focus. And write it down, put it on your website, put it on your LinkedIn. It’s just super-helpful to have it documented. Sometimes, I have a services page and I do have people that look at that, but a lot of just billion that page out was for me, so that when I’m talking to people, I know how to communicate in an effective way, so part of that process is also for ourselves. And as part of that process also determining what it is financially we want from freelancing. When I early on in freelancing, I’d I decided: “Here’s how much money I want to make per year.” And as I charge hourly, I, essentially, had to break it down. “Here’s how many hours I need to log per year, how many hours do I wanna work per week, per month, Then, I divided them out to money I want to make, by the number of hours I was really wanting to work for the year, and I, then, got my number and, then, I adjusted it accordingly. So, getting clear offerings and how the money matches that offerings. Then, the third piece is creating a steady stream of paying clients, which is probably the most challenging, the most asked-about question. So, there’s a few pieces of that. One, as a freelancer, we can’t do it ourselves. We need help. I kind of… I break it out into there’s three types of people” that can help us as our augmented sales team. Friends and family. They’re gonna refer people to us because they care about us. It’s not necessarily merit basis just because the they care about us, but we do want to respect and honor that. So, if we get work, we want to make sure that we do a good job and take care of those customers. The other is what I call “rainmakers.” These may be friends or not. They just being people we meet networking, they’re people that refer to us because we can help the person that they’ve connected with. So, maybe they are… I’ll give an example. Yesterday, I had a client asked me, they were looking for a Google analytics specialist. And so I went out, I recommended someone that I knew, so in that case I was a rainmaker. Someone I knew, we don’t even see each other that often, but I thought of him because of what he does and that’s the “rain fall.” So I was a rainmaker in the sense of helping him. Then, the third is “cost raving fan customers,” so customers that are… They’re satisfied with the work we’ve done for them and they’re telling other customers about us. So those three relationships are ones we need to cultivate and maintain. That way, it’ll make it easier for us to get new business. So that reminder is a big deal because I had a CPA that did my taxes every year for a while and one year. I did my taxes but it’s a whole year later and I haven’t heard from her at all during that whole year, haven’t seen any activity from her. I just kind of wondered, is she even doing this anymore, right? And so I called her and she was but I think we don’t want that thought to go in people’s mind, we want people to recognize that we are active, we are doing well, that we’re succeeding and we want our marketing efforts to reflect our operational efforts in doing that. So those are being the tree things, being fully committed, getting clear on an offering, and then building a steady stream of paying clients. So there’s even more to those and there’s other ways to do that as well but those are the most important three I believe. Kate: Okay, that sounds like a really good piece of advice from an expert. So I guess we can find more in your book? Jason: Yes, at pathoffreelancer.com, it is on Amazon and I shared three of the eight achievements so there’s actually five others. And each of the achievements is broken down into four checkpoints. And really what I wanted to do with that is create a roadmap for freelancer that says, “You know what, I wanna do this,” or “I’m already doing this, how do I do it better?” And here the road, sort of the checkbox is do this, do this, do this. And if you master all of these and then maintain them, then you’ll be successful. And the maintenance is hard, I think, I kind of imagine like spinning plates, you know, you got these poles and the plates are on them. And you, one, it’s easy, it’s a little bit harder, three it’s getting challenging. I mean, eight is a lot so, the natural inclination is sort of to get decay. So I gotta maintain those eight and the moment I stop one, I’ve got to do that, come back to it at some point. Does it make sense? Kate: Yeah, of course! I want to ask you, you know, I know that if I want to know everything I should just read your book, and I will do it, for sure. But if you were to give one piece of advice to a beginning freelancer, what would you say? Jason: So I would say, high-activity is what I would tell them. When I launched into freelancing, I didn’t even know I was gonna freelance when I did it but I was shutting other company, I engaged in a high-activity and it ended up helping me. So what I did I was probably meeting with about twelve people a week, in person. And then I was calling people between those, I was also blogging and sharing on social media. So high activity, I did that for three months, and then when I started, when I ended the company, I was already freelancing. And I didn’t plan it but looking back if I were it again that’s what I would’ve done and that’s what I would recommend. So I think the key is just to amp up up your activity and recognize that need help. Ask for advice, ask for connections in that time that you’re meeting with people. You can attend networking and other events and other things, I didn’t necessarily do that because I had so many connections but yeah, attending events is another way to build those connections. But a lot of people I met, some people I knew really well, some people I met once, some people I just connected with LinkedIn but I never actually met in person. So you know, there’s a mixed group. Kate: Okay, so when you’re a freelancer, you have so many things to do, how do you stay motivated? Do you have a system or something? Jason: Yeah, so there’s a few systems I have, like I mentioned, the focus metric with my logged time. I’m motivated to hit my goal. But in terms of tracking that and tracking in TimeCamp but what helped me to push me a little bit, I use a tool called Habitica. And Habitica is a habit management, to-do manager but there are three different types of things you can put in there. You can put a habit, a daily, and a to-do. And the critical one is the dailies. And the way the dailies work is I either do something daily, although even though it’s called daily, you can do weekly or something that’s multiple times a week o monthly. But if I don’t do that daily, by the end of the day, then to-do disappears and it reappears the next time it comes up so. And in Habitica I actually lose health for my character and I can lose items if I die, so this past month I died twice so it was not all good. So it’s a tool that just helps me stay focused, “Alright, these are the things I need to do and if I don’t do them, there are fictional consequences,” but it helps me stay motivated and to kind of go underline piece there that I kind of focused on before is. There’s a tool I used to use called irunurun.com and you can put up to seven items and really the idea was to, what other things I need to do on a daily or weekly basis that no matter what else happens, I get these things done. These things will move my business forward because we can get so busy and there can be so many things we’re doing but they don’t actually contribute to moving forward to our goal. So what are those critical things that no matter what… I do those first or I do them if I have to stay late that’s the thing I do or I have to miss a meeting, that’s the thing I do. So what are those? And that’s kind of what I use the dailies for, these are the things I need to do and that’s where I put, I gotta them … it says everyday log 5.7 hours billable hours. And so I also got a system in place that when I don’t have the hours available, which I generally do because I’ve been doing this since 2014 so four and a half years now. I’ve got some steadiness but earlier on when I didn’t always had that so when I didn’t have the hours available and an action plan in place, so I don’t have the hours, here’s what I’m gonna do, I’m gonna meet with people, go to the event, blog more often, social media, whatever. So I use Habitica, and then you know, I do have things in my calendar that I’ll place in there but Habitica is a huge piece of that puzzle and then focusing just on my log hours. Accountability is also helpful. If you have someone, maybe that’s a mastermind or just a friend or a fellow freelancer that you can connect with. Just to help hold each other accountable and talk through problems and challenges. And that was actually one of the things I did when I wrote the book is I took a group of freelancers through the content in the book and we had a little mastermind and shared ideas and feedback. And it helped us all accelerate on our respective freelancing paths. Kate: Fantastic. And I know Habitica because I tried it because you wrote a blog post on that. And it’s really cool I really like it, it’s fancy so I use it sometimes. So Jason, what books do you read? That’s a question I really love. Jason: Yeah, so, when you say that are you saying which ones I’m reading right now or which ones have I read in the past that I would recommend? Kate: Both actually. But maybe you have your favorite genre Because some people do? Jason: Yeah, so when it comes to reading I prefer non-fition. I prefer fiction visually so like movies and TV. But when it comes to reading for a non-ficiton… Most of my reading right now is blogging, like blogs other people’s blogs and articles. I got a list of books that I like to read. There’s another book I wanna read called Irresistible by Andy Stanley and it talks about the history of Christianity and how it started and how it came about. So that’s something I’m interested in. On the business side of things there’s one of the books I’m recommending to everyone is the book called The Win Without Pitching by Blair Enns. And when I had my marketing agency it transform the way I thought and did sales and business development with my agency. So in agency world there’s a lot of pitching and proposals, you try to earn business by presenting the new ideas and essentially turn that upside down that you can win without pitching and here’s how. And so that book changed my life and I recommend it to everyone. He’s got a new book which is also applicable to freelancers called Pricing Creativity and it talks about how to become a value based pricing provider. And as I mentioned earlier, I do charge hourly. But that’s something that I am exploring, how can I shift to value-based pricing method. 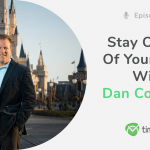 And he gives some practical steps that you can actually apply to your freelancing even if you don’t go value-based pricing, for example, he says when you present options to your client, he says, present three options and anchor high. So option one is the highest price 1 and it doesn’t really matter how high it is but it helps to set the stage for the other two to look more affordable. And so you know, maybe it’s five thousand dollars a month, two thousand dollars a month and a thousand dollars a month so you have those two anchors. And the middle one is the ideal one you want them to choose. So you have three options because people want to have options and then, if you don’t give them options, you’re gonna look competitors and then they’re gonna choose between three competitors vs three options that you might provide. So Pricing Creativity and Win Without Pitching. On the personal development, leadership level, the book I recommend is called The Map by dr Keith Eigle and dr Karl Kuhnert. And it talks about developmental theory which explores this researched concept that humans go through five stages of maturity in a lifetime and how that plays out and essentially how we understand that and how we move through those levels and become a stronger person and a stronger leader by personally growing. So that’s called The Map and that’s a book that I also recommend. Then outside of that, I’m currently reading just verse of the day from the Bible and that’s something that I do regularly. Kate: That’s great. I do it too so high five! Okay, I have one last question to you which is related to the name of the podcast, Stay on Top of Your Work, how do you stay on top of your work? Jason: How do I stay on top of my work? So I use Airtable, and it’s a data-based tool but you can use it like a spreadsheet, like Trello. They have different views, you can look at them in different ways. So it’s an organizational tool, it’s an action management. So I have all my clients in there and I organize them so I can see whom I have, how many hours they have, how many hours they have left, whether I’ve invoiced them. It’s what I call my freelancing dashboard. And you can actually find that I made a template of it at airtable.com/universe, there’s a template in there that people can download. And it helps me stay focused on my clients, and then all my prospects are in there, my contacts, and so I work through those. And then one of the things I talk in the book is when we’re looking for new business it’s easier to get it from people who currently working with or people who we’ve recently worked with or people we worked with at all and so I have it ordered in that way. So that way when I do need more work then I go reach out to the customer that I’ve worked with a month ago that hasn’t done anything new or one that I’ve done couple months ago so I have clients that come back and I reactivate them. So Airtable helps me do that. And I’ve got two columns in there, my weekly priorities for that clients so I can just put them in there and sort of list and then I’ve got another item that’s got… it’s a repository of ideas, things to work on that aren’t the priority. So I’ll move them from one bucket to the next. The idea is just to capture all the opportunities that I see with my clients that I can help them with. I put them in there and then you know, we’ll talk about them, sometimes I’ll act on them depending on the situation. So that helps me stay organized for the most part, and then you know, I do have Habitica, and my calendar to help. And then I use tool called Harpoon for my invoicing. It has some cool dashboard widgets for projecting my income for the year and based on, you know, history I tracked and hit my goals. Kate: Okay, that sounds great. Thank you so much. So if we want to find you, where should we look for you? Jason: So my website is jasonscottmontoya.com I’m blogging, like I mentioned earlier, three times a week. Although I do take annual break at the end of the year so that’ll be coming up here at November and December. So I’m blogging about three things, I’m helping people grow themselves, grow their small business, and grow others. I also share stories to inspire and ultimately it’s systems and stories to work better and live smarter and smarter so that’s jasonscottmontoya.com. I also have pathofthefreelancer.com which talks about the book and has a lot of resources for freelancers, links, tools and different things that you can find. I’m also on Twitter, LinkedIn, and Facebook as well. Kate: Alright! Thank you so much, Jason, for being here.